On Friday 18th May, we had a visit from Father Chase Hilgenbrinck. He is a Catholic priest from the US. He was a professional footballer and played in the American league, Major League Soccer (MLS). Whilst playing football, he discovered vocation to be a priest. 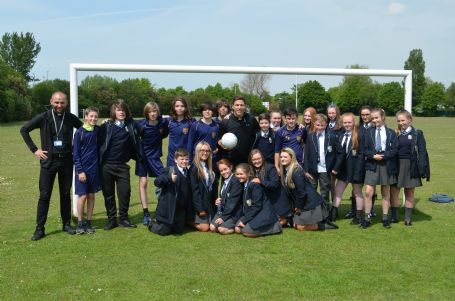 He conducted an assembly for Y8 in the morning and during lunch, he played football with the majority of our students! Our students were really excited to have the chance to play football with Fr. Chase and we hope he comes back to visit soon!